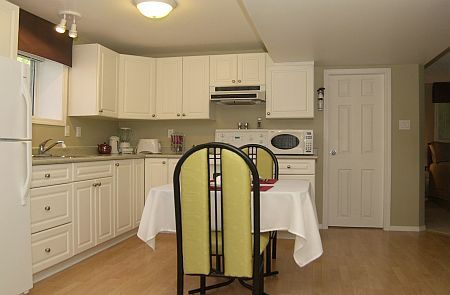 Harts Vacation Suite offers all the amenities of a Home Away from Home. 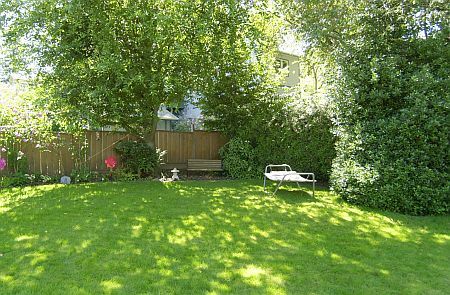 Although contemporary in style, this perfect little hide-a-way will delight visitors with its warm atmosphere and quiet location. 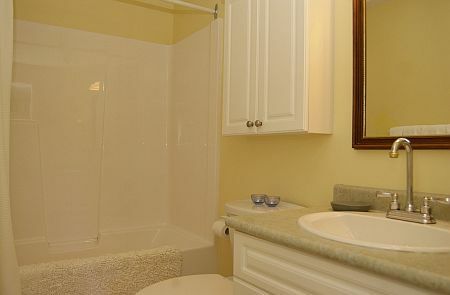 This newly built suite has an open concept with a bright kitchen, living room area and private bath, designated parking and entrance. 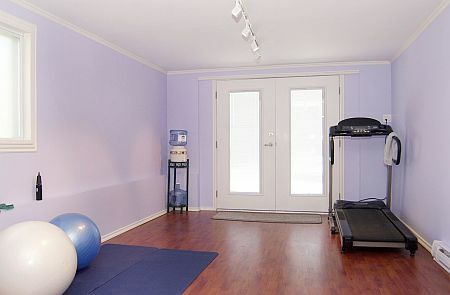 It also includes use of an exercise room with a treadmill, laundry facilities, barbeque and private patio area. 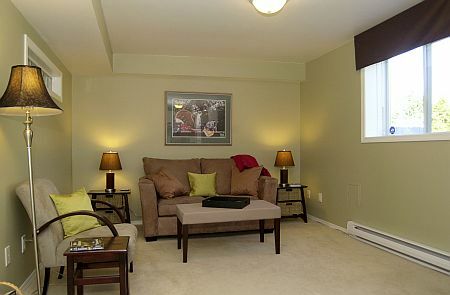 Other amenities include access to board games, books and outdoor games such as badminton and volleyball. 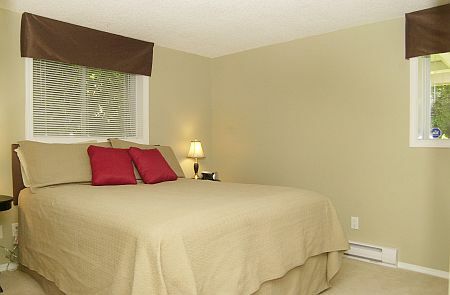 The suite boasts quality decor, fine linens, flat screen TV, DVD player and internet access. 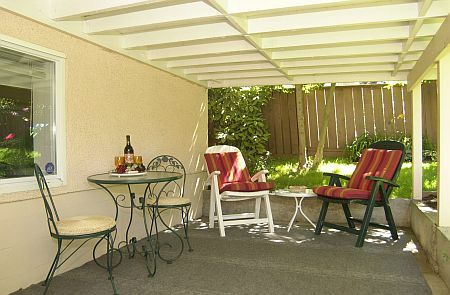 Sit back and enjoy the back garden with its song and hummingbirds, squirrels and, on occasion, a family of raccoons. 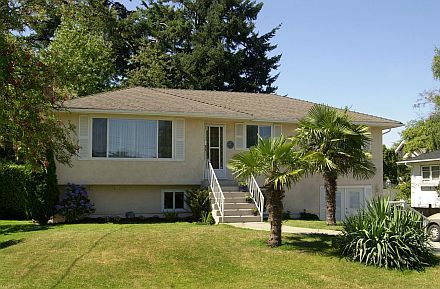 Situated in a quiet family neighborhood this property is minutes by car to downtown Victoria attractions and to the Island highway which will take you on alluring day trips. 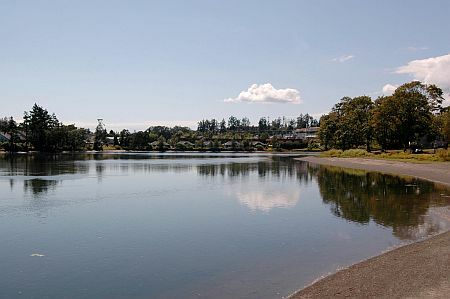 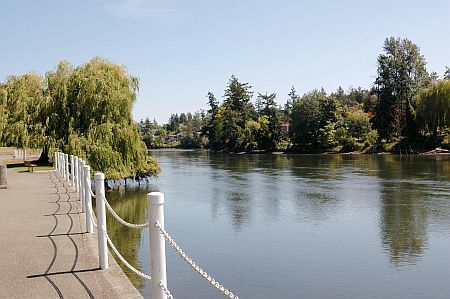 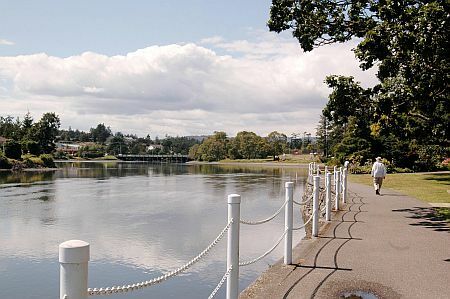 It is also located one block to the beautiful Gorge Waterway where you can stroll along the walkway or sit on one of the many park benches and take in the ambiance of a leisurely afternoon. 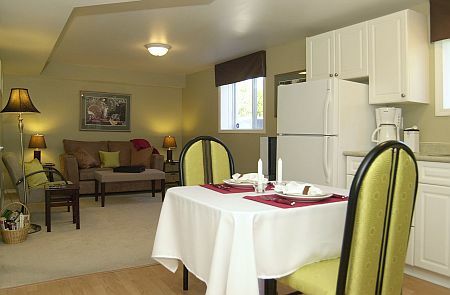 Bring your clubs and enjoy the semi-private Gorge Vale Golf Club just minutes away as well as a recreational facility. 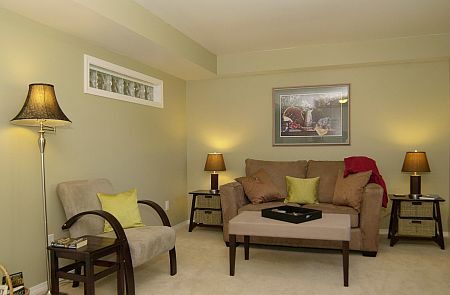 Other easily accessible amenities include movie theatre, shopping and restaurants all within walking distance. 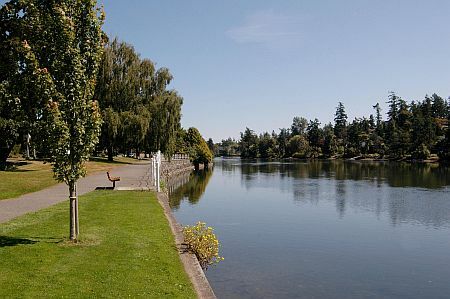 The Galloping Goose and regional parks are close by as well as local transit to reach your interests. 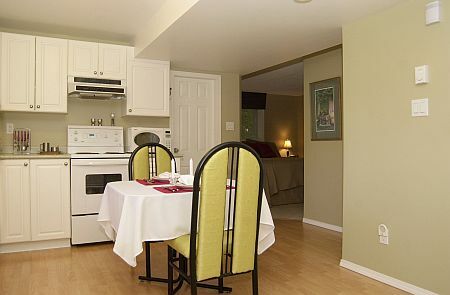 Whether it be a quick get a way or a lengthy stay couples and Snow Birds will enjoy the little luxuries at Harts Vacation Suite has to offer.